Celebrate Nelson Mandela's 100th Birthday with us at Nelson Mandela Park, Leicester. JOIN OUR CELEBRATION OF NELSON MANDELA’S 100th BIRTHDAY ON SATURDAY, 21st JULY 2018. 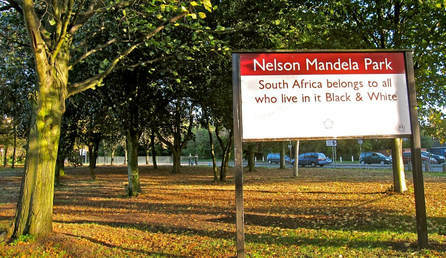 Venue: NELSON MANDELA PARK, LEICESTER. (Actual Birthday: 18th July 2018) . Invitations – VIPs, Bands, Sports and Sports Personalities, Presentations. Dances from across the world. Food stalls from across the world. relate in some ways to his ideologies.